Like your presents, only better. On the tenth day of Christmas my true love gave to me… a top knot bun! We’re close to ending the holiday party season, and to be honest are a bit reluctant to let go of that buzz in the air. We think it’s time we stepped it up and kept it going with a fun updo with today’s installment of 12 Days of Christmas Hair. We showcase how to achieve a festive version of the braided top knot bun using some holiday trimming. The result: a charming updo that resembles the multi-bowed starry ribbons on a holiday present! Step 1: Refresh your hair with a dry shampoo. Remove any residue and oil with a spritzing of dry shampoo. 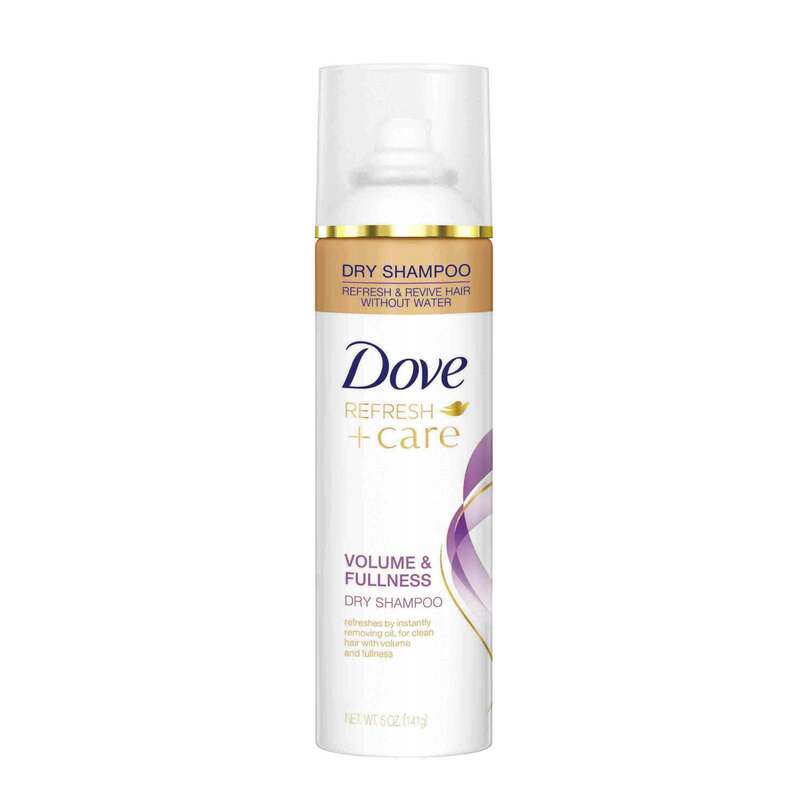 We like the scent and instant refreshed feeling we get from Dove Refresh+Care Volume & Fullness Dry Shampoo. Brush through your hair to distribute evenly and detangle strands at the same time. Step 2: Apply some serum to smoothen. 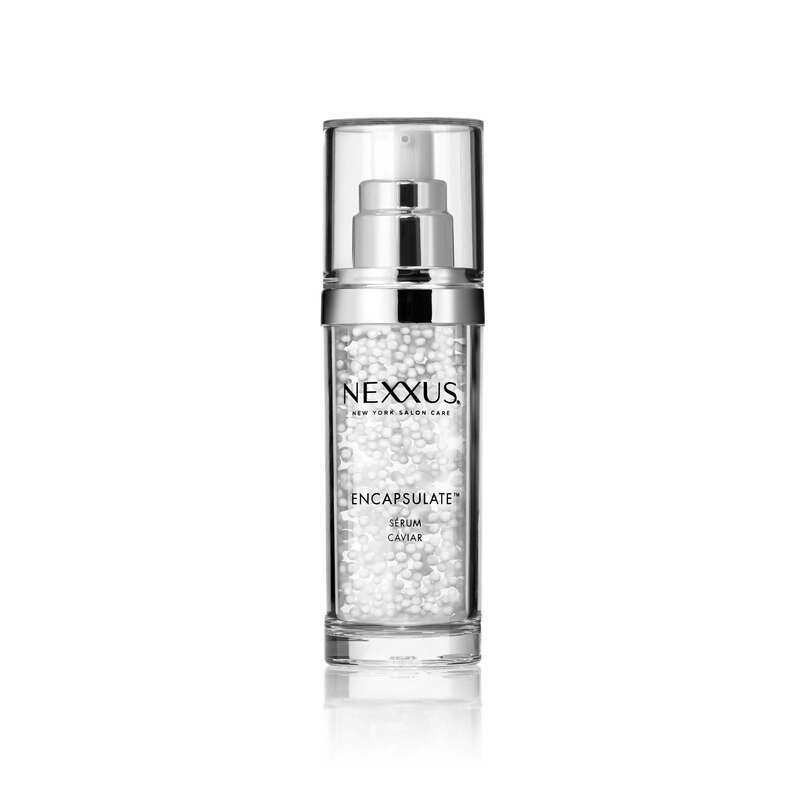 Make sure your ends are smooth and frizz-free with a few drops of serum, such as Nexxus Humectress Encapsulate. Comb through your ponytail using your fingers or a fine-toothed comb to distribute the product evenly. Step 3: Gather your hair into a ponytail. For your top knot bun, first gather hair into a high pony at the crown of your head. (It may help to flip your head over.). Secure with a neutral-colored hair tie. Starting from the very top of your pony, begin a regular three-strand braid while incorporating your holiday ribbon of choice into one of your sections. Continue the plait till you reach the ends, and secure with another hair tie. Step 5: Twist your pony into a bun. Create your top knot bun by coiling your ponytail around its own base. Secure onto your scalp with some bobby pins. Hold your look in place with a coat of firm-hold hairspray, such as TRESemmé TRES Two Extra Hold Hairspray. You’re ready to go rockin’ around that Christmas tree one last time! Hair tinsel, here we come!